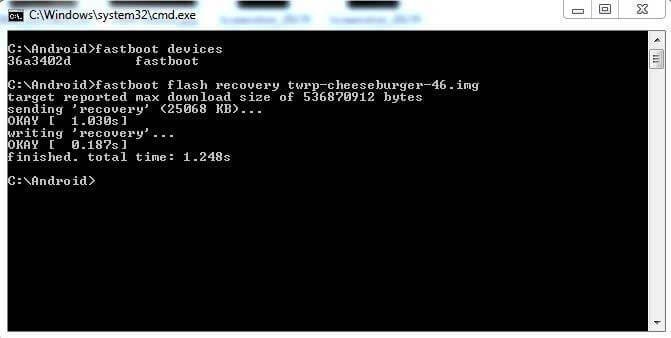 How to Root OnePlus 5 (CheeseBurger) and Install TWRP Recovery. OnePlus’s latest flagship offering, OnePlus 5 is simply “enough”, anyone would ask for in an Android Smartphone. With 8GB of RAM & Snapdragon 835, it has really got no competition left in the market. While the Smartphone is the fastest among Galaxy S8 & HTC U11, it surely comes with more than just “Speed”. As we all know, OnePlus always encourages new developments for their devices and allow their users to Root their device without voiding the warranty. 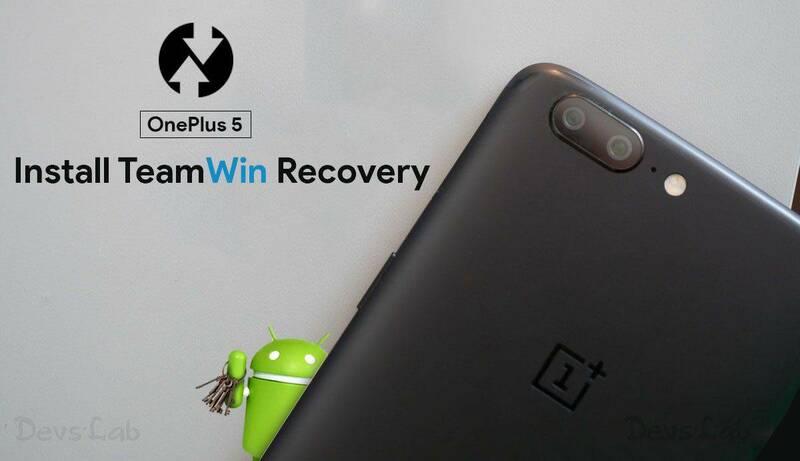 If you’re one of those, who loves to tinker with their devices & you have recently bought a brand new OnePlus 5, we have a good news for you; A fully functional TWRP Recovery & Root is out for OnePlus 5. While rooting the OnePlus 5 won’t be for “Performance improvements”, but it will surely allow you to install Custom ROMs, apply themes, try out the latest Android O previews and that too without voiding device’s warranty. So without anymore time, let’s just jump onto the procedure of Rooting OnePlus 5. Original Type-C USB Cable of OnePlus 5. Minimal ADB Tool (Download link and Installation Procedure is given in the link) & Fastboot Drivers. Backup all your Contacts, Apps, Images and everything. Unlocking the device might erase the Internal storage. Unlocking Bootloader: Opens the door to System files of your device. This allows you to flash images onto the main system partitions of the phone. Installing a Custom Recovery: A custom recovery is flashed onto the recovery partition of the device and overwrites the stock recovery that exists by default. Custom recoveries bring lots of functionality and allows you to perform wipes, install flashable zips, create full backups of your NAND (Nandroid backup), and various other features. An unlocked bootloader is needed to install a custom recovery. Rooting: You can gain root by either flashing via recovery a pre-rooted custom ROM, or flashing a zip containing the SuperSU binaries. A custom recovery is necessary to do this. You can unroot your Android device in just one click. Step 1. Setup the Minimal ADB Fastboot Tool mentioned above. Step 2. Enable Developer Options: Go to Settings > About Phone > Tap on Build No. 7 Times > It will say “You’re now a Developer”. Step 3. Enable OEM Unlock: Go to Settings > Developer Options > OEM Unlock > Toggle to Allow bootloader unlocking. Step 4. Open Minimal ADB Folder and launch “command.bat” file to open a Command Prompt window. Step 5. Boot OnePlus 5 into Fastboot Mode: Press volume + power button and then phone will boot into fastboot interface. Step 6. Connect your OnePlus 5 with PC/Laptop using a Type-C USB Cable. Step 9. Now you’ll see an “Unlock Bootloader” prompt, press Vol button to Select & Power button to select the “Yes” option. 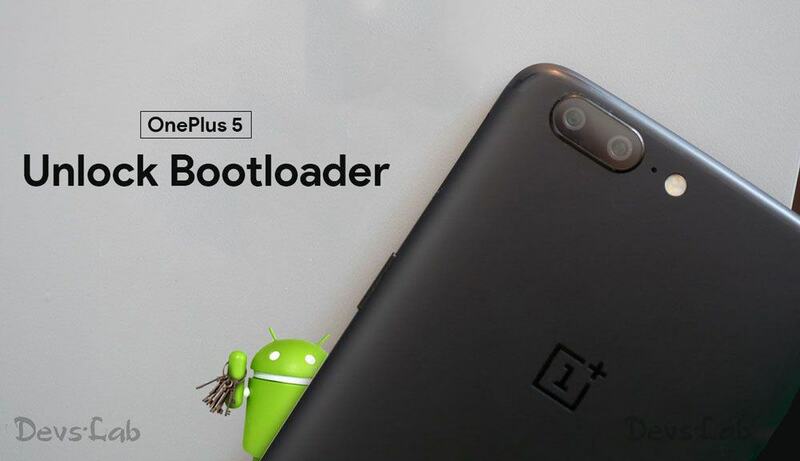 You have successfully unlocked the Bootloader of your OnePlus 5 device. Now you can install custom Softwares in to your System files through custom recovery or gain root Access. Step 1. Download the TWRP img file from the Prerequisites section at the top. Step 2. Place the downloaded TWRP image file inside the ADB Folder. Step 3. Boot your device into Fastboot Mode (Press volume + power button) and connect your device to PC through USB cable. Step 4. Launch the ADB Command Prompt Window and type the below command to flash the TWRP img file. Step 5. Once the TWRP Recovery is flashed successfully, disconnect your device and boot into TWRP mode (Power + Volume Down button). 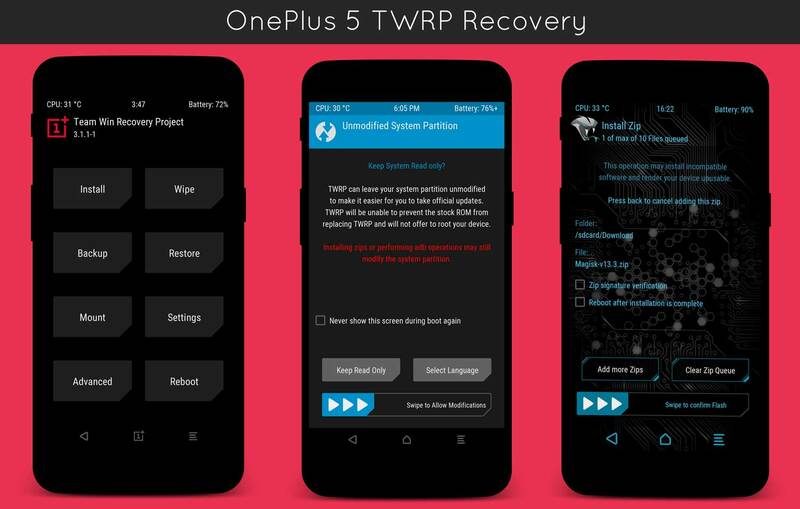 You have successfully flashed TWRP Recovery in your OnePlus 5. But you need to disable Forced Encryption to gain Root Access. 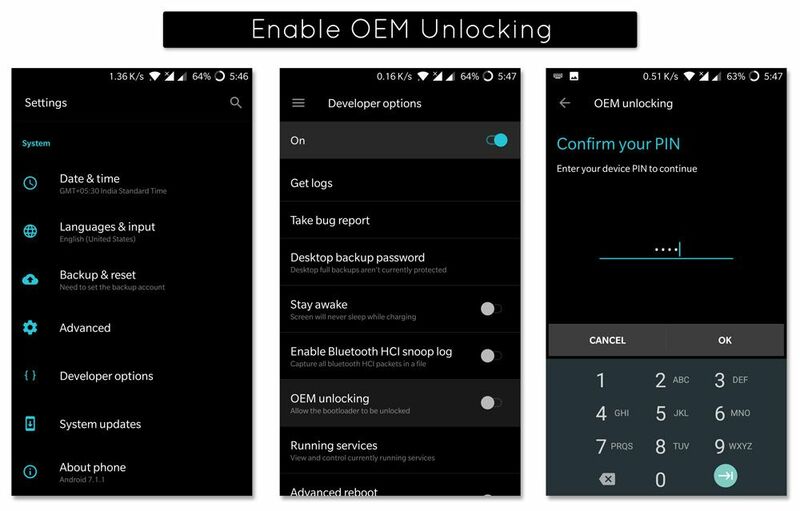 Just like every other Flagship devices this days, OnePlus also comes with dm-verity check and forced encryption enabled. Although this offers a layer of Security, it doesn’t allow you to gain root access. Along with that, encryption also eats up Performance & Storage for keys. If you want to gain root access, first you need to disable forced encryption before flashing anything through TWRP. It’s a pretty simple step. Step 1. Download the “no-verity-opt-encrypt” file from the Prerequisites section and transfer it in your device’s Internal storage. Step 2. Turn off your device and boot into TWRP Recovery(Power + Volume Down button). Step 3. Select Install > Locate the no-verity-opt-encrypt file > Swipe right to Confirm Flashing. Step 1. Download the SuperSU zip from Prerequisites section and transfer it in your device’s Internal Storage. Step 3. Select Install > Locate the SuperSU Zip file > Swipe right to Confirm Flashing. Step 4. Wait for the Flashing procedure to complete. Once it’s completed, restart your device into System. 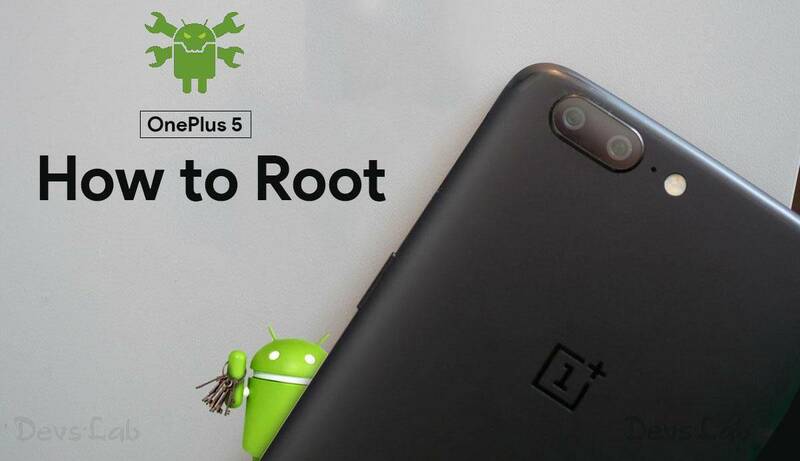 Finally you have rooted your OnePlus 5 device completely and now you can tinker with various options, Custom ROMs, themes, Rooted Apps and lot more. If you have any doubt regarding any steps, you can comment it below. Augmented Reality VS ✌ Virtual Reality, a lesson in animated realities. LAER, a laptop sleeve that can power your laptop and charge your smartphone.